A video/audio feed of the service will be made available to the press through the pool station, WMAR. The Associated Press and Baltimore Sun will serve as the pool “still” photographers inside the Cathedral. Video pool for inside the Cathedral: WMAR-TV is the pool station. Contact: Al Petrasko, Operations Manager, 443-986-2106, for questions or concerns about pool video. Photo pool for inside the Cathedral: The Associated Press, Rob Carr, 443-827-5630, and The Baltimore Sun, Chuck Weiss, 410-332-6945. Photographers will be restricted to the rear and side aisles of the Cathedral. No access in or in front of the sanctuary (altar area) or in the center aisle. Live truck/media parking: Microwave/satellite truck parking is on the south driveway along the wall —no trucks are permitted to park in the driveway or on the plaza. Overflow media parking will be in the parking lots to the north and south of the Cathedral. Live shots/interviews: Live shots and interviews must be conducted on the plaza (the open area directly across the driveway from the front of the Cathedral), not on the front steps or the sidewalk directly in front of the Cathedral. Media seating: Members of the media are permitted inside the Cathedral for note taking and observation only (no cameras, interview requests, photographs, etc. will be allowed inside the Cathedral). Viewing: The viewing scheduled for Monday, June 9, 3-7 p.m., at Jenkins Funeral Home in Hereford, is not open to media. 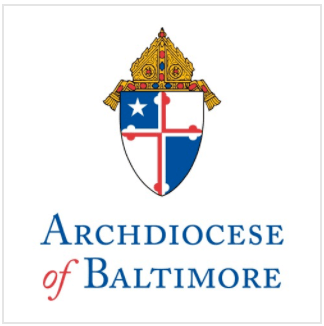 Please contact Sean Caine at the Archdiocese of Baltimore at (410) 547-5378 or scaine@archbalt.org to provide the following information: number of vehicles (news cars/live trucks) needing parking, number of reporters needing seats inside the Cathedral.